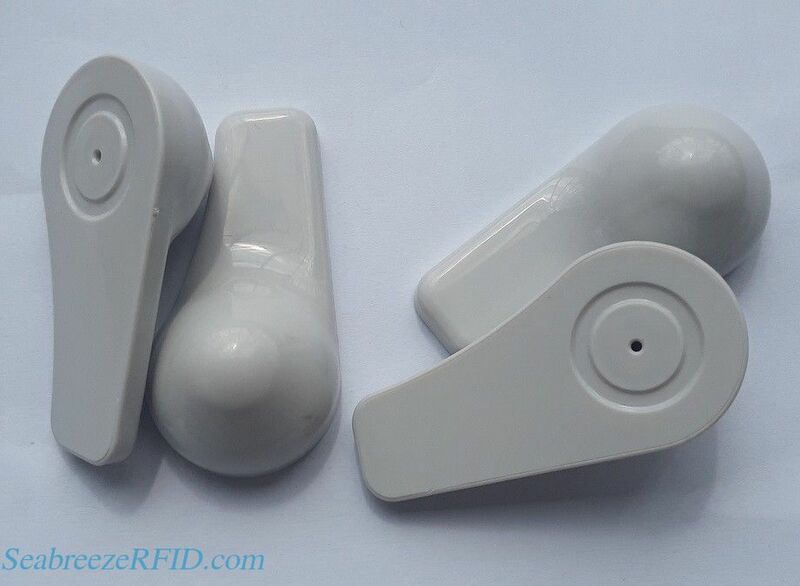 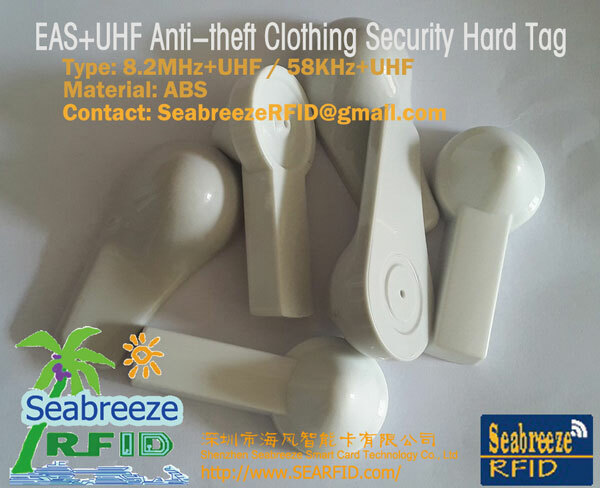 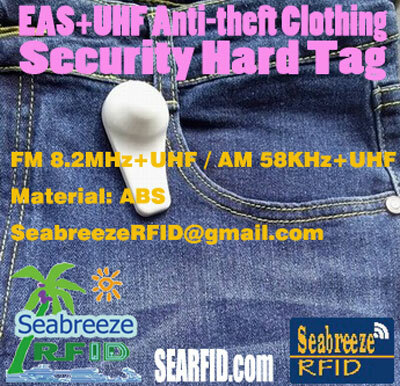 The EAS+UHF tag is not only trigger EAS alarm, but also sending back product information,used clothing and other products tracking management.It complaints with EPC C1G2 (ISO18000-6C) standard, operating frequency is 860-960MHz (It can be used worldwide). Each tag has a unique ID and stores user data. 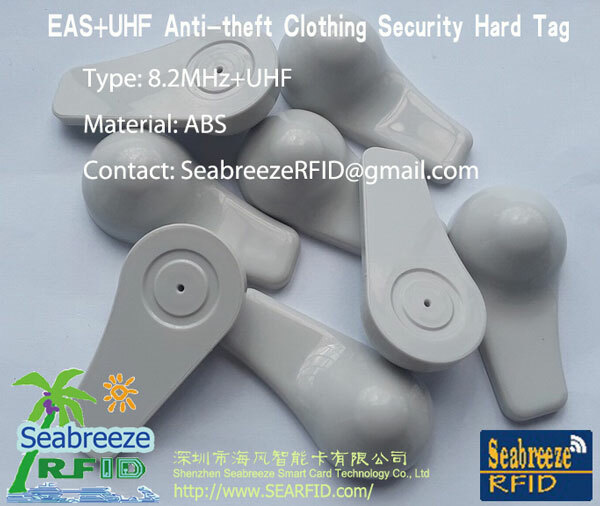 This product is designed for apparel retail and management.This product can be printed pattern, company LOGO.